Best Picture Oscar Collection - Musical movie was released Feb 15, 2005 by the Warner Home Video studio. 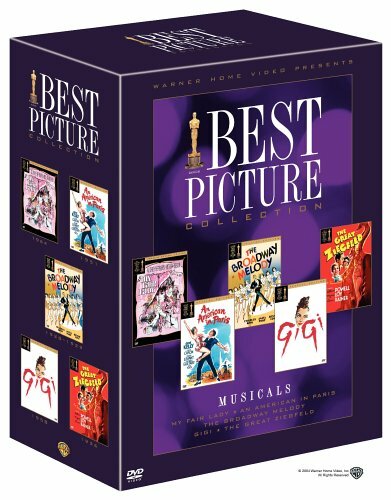 With a special focus on Musicals, this collection offers some of the finest examples from the genre, with all included snatching the coveted Best Picture prize at the Oscar's. Best Picture Oscar Collection - Musical movie Included are MY FAIR LADY, THE BROADWAY MELODY, GIGI, THE GREAT ZIEGFELD, and AN AMERICAN IN PARIS. Best Picture Oscar Collection - Musical video See individual titles for synopsis information.